The gorgeous and ghostly, but fast flowing prose of this Norwegian Nobel Prize nominee makes it an eminently readable book, and one that is hard to put down, despite its sensitive subject matter. And beneath the story itself lies a beautiful mystery known only to the protagonist. TARJEI VESAAS (1897-1970), author of twenty-five novels, and several volumes of poetry, short stories, and plays, is widely regarded as one of Norway's greatest writers of the twentieth century. His writing touches on a variety of difficult themes such as mortality, guilt, and angst, while often chronicling the deep intractable human emotions of his characters. 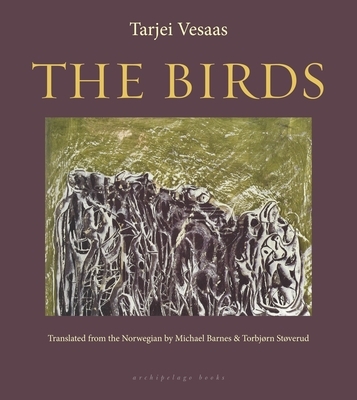 Vesaas won a number of awards, including the the prestigious Nordic Council's Literature Prize in 1963 for his novel, The Ice Palace, and The Venice Prize in 1953 for The Winds. He was considered for the Nobel Prize three times. TORBJØRN STØVERUD is the author of Milestones of Norwegian Literature, Modern Norwegian Literature, and, together with George Popperwell, Anthology of Norwegian Literature, Volume 1-6. Together with Hal Sutcliff he is the translator of The Story of Edvard Munch by Ketil Bjornstad and Insect Summer by Knut Faldbakken. MICHAEL BARNES is Emeritus Professor of Scandinavian Studies at University College London. He is the author of The Scandinavian Runic Inscriptions of Britain, An Introduction to Scandinavian Phonetics, and The Norn Language of Orkney and Shetland, among others.